The Juliette RS-61 is AM only. Approx size would be 8"H x 6"W x 2-1/2"D. Almost no weight to it. Less than a pound. 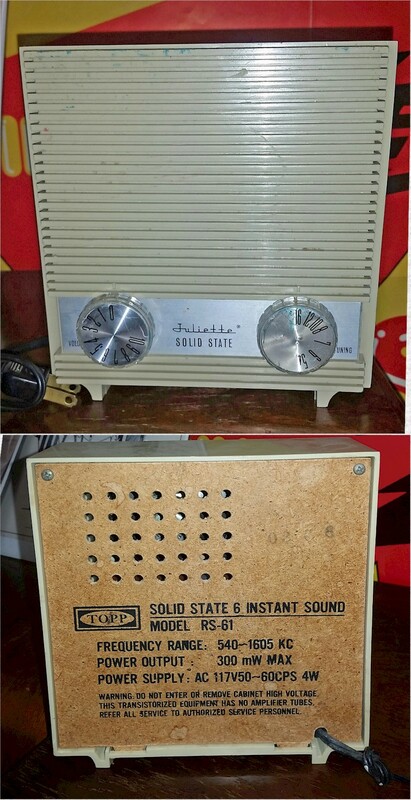 I've always known that Juliette radios were not the highest quality, but this one is embarrassing.